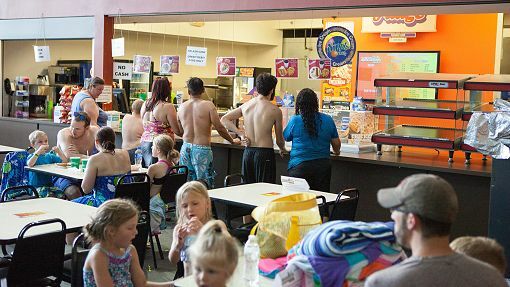 Concerned if food is available, or how you are going to pay for it when you are in your swimsuit? Don’t be! Our snack bar is fully stocked with both traditional and healthy choices. Drinks, desserts, sweets, even gluten-free items. And don’t worry about the payments either. The wrist-band that lets you enter the water park also lets you pay for the nourishment, literally with a flick of your wrist.